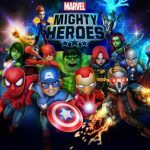 Netmarble Games’ latest mobile title MARVEL Future Fight puts you in control of your favorite MARVEL heroes, and by this, we mean all of the popular ones, including, but not limited to Spider-Man, the Avengers, and the Guardians of the Galaxy. 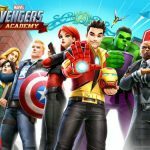 According to the story of the game, S.H.I.E.L.D. Director Nick Fury has sent a dire call from the future, as the multiverse’s many dimensions are collapsing upon each other. Your mission is to make sure humanity survives this potential tragedy, and aside from playing in single-player campaigns, you can also take part in three-vs-three PvP battles, or use the Ally System to have your friends help you out. 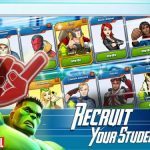 In addition, we’re also here to help you out, through the following MARVEL Future Fight cheats, tips and strategies for the game’s single-player mode. 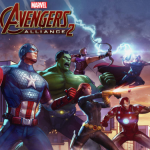 Each MARVEL superhero that appears in this game is classified under one of four categories. You have your Combat types, who are best for toe-to-toe melee fighting, your Blast types, who hit ranged attacks from afar, your Speed types that attack villains fast and furious, and your Universal types, who are essentially jacks of all trades, masters of none. And it is always most recommendable to have as balanced a team as possible. Switching your heroes would require a global cooldown of three seconds before you can switch them around again. Keep that in mind, because you’ll want to do a lot of switching here to ensure everyone remains as fresh as possible at the end of a battle. But when it comes to boss battles, we’d suggest using the skills of all your current heroes, before switching to another one; specifically, this means waiting a second to cool down before using all their skills. After the eighth mission of the first chapter, you’ll finally be able to upgrade your heroes. What kind of upgrades can you perform on your heroes? Of course, this would include skill upgrades, and aside from that, you can upgrade your heroes’ gear for additional attack and defense power, or rank them up assuming their biometrics are up to speed and you have enough gold to do so. Mastering your heroes is another form of upgrade, but this time, you’ll use different Norn Stones for this type upgrade. This is similar to ranking them up, but when you master your heroes, you’ll be giving them much bigger stat improvements, while also improving their leadership skills. You can replay missions you have previously completed, but it would be better if you grind them out in Elite mode. Elite mode, of course, means you’ll be facing tougher foes, but then again, you can earn yourself much greater rewards, particularly biometrics for your team of superheroes. Having different combinations of heroes would give you a team bonus – for instance, there would be a 1.5 percent attack bonus if you’ve got at least two one-star heroes. That’s just an example, as there are many other ways you can get team bonuses in MARVEL Future Fight.